Rokuna, one of the titular Mon Colle Knights. A typical girly-girl, who loves fairies, cooking, cute things, pink, haunted places and creative hobbies. She wishes for two things : meeting fairies and having a little brother to play mother over. Above that though, she thrives to connect the two universes so that monsters can live together with the humans of her world. Her mood can swing from insecure to overly aggressive, a contrast to the fairly stable and docile Mondo. At her nicest, she is gentle and motherly, at her fiercest she is pure fury. She is fatally afraid of toads. She also often is insecure of her ability. Family — Ichirobei Hiiragi, her nameless mother. Her interaction with Mondo often sees comical love bubbles and melodrama, which often are interrupted or spoofed. Outside of that they are good friends and a lot of her free time is spent in his company. She dislikes his card obsession, so they tend to spend their time together playing games, gardening, watching television and similar things. Their interaction is not without trouble, as Mondo often openly flirts with other girls, which offends Rokuna. She tends to punish Mondo by use of cartoon physics, but holds no hard feelings towards the girl. On occasion she and Mondo will have an actual disagreement, but while they both might mope, they eventually will sit down and talk it out. She tends to rely on him when she is insecure, and he is always there for her. It was her bond to Mondo that ultimately pushed her to be strong enough to fully use her empathic/telepathic sense. Before meeting Mondo, she was often lonely as her father spends hours on end in laboratory, but won't let this drag her down. However, his lack of fatherly authority tends to mean he is at the brunt of her corrections, rather than the other way around. While Ichirobei tends to neglect her, they do have a reasonable bond, and he doesn't forget to attend her school plays. Her interaction with Utahime, Beginner and Lélé is friendly, but undefined. Like Mondo, she can be frustrated with Beginner's denseness. Her interaction with Luke is likewise friendly, and she has more respect for him than she has for Mondo. At one point, when Luke became particularly upset over the Beginner-deal, she felt something was amiss and followed him while he sought out a lake to angst, and upon finding out about his quest decided to help him. She also started shipping him with Beginner. Her closest monster is the Forest Giant, whom she befriended after taking care of an injury he had sustained. 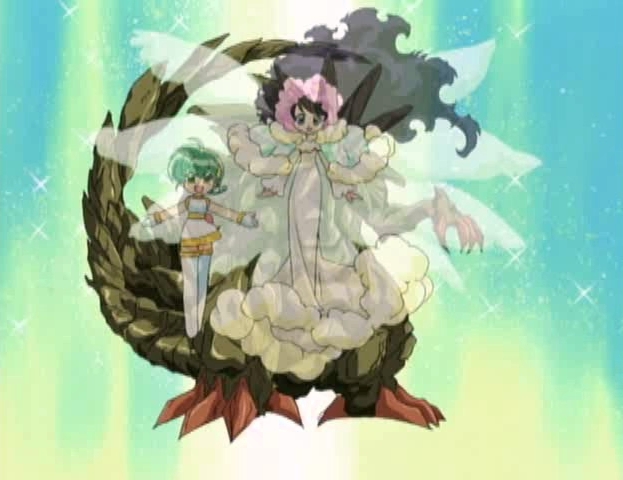 He is her most frequently summoned monster and she is able to do so even without his card, which was lost halfway throughout the series. After her mother divorced her father, she was left more or less in charge of the house hold. 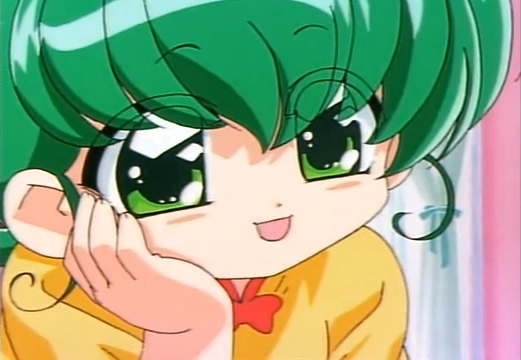 Photos from her childhood show her being a fairly happy child, with Mondo already hovering around her. Rokuna Hiiragi is the only daughter of Ichirobei Hiiragi, and she lives with him in his laboratory/house dome. As a Knight, she uses the Knight Loop (?) for open air combat purposes, a multi-purpose pink ribbon. She seems to have a talent for earth and water, and is often associated with creatures of these elements. Upon entrance of Rokumon Sekai, she received an artificial sixth sense, which allowed her to speak to the minds of monsters without striking a contract. This proved useful whenever they encountered a monster incapable of human speech. Occassionally she has attempted to use this power to tame a wild monster, but always lacked the confidence for it to be successful. As the series progresses, her ability gradually starts to evolve. 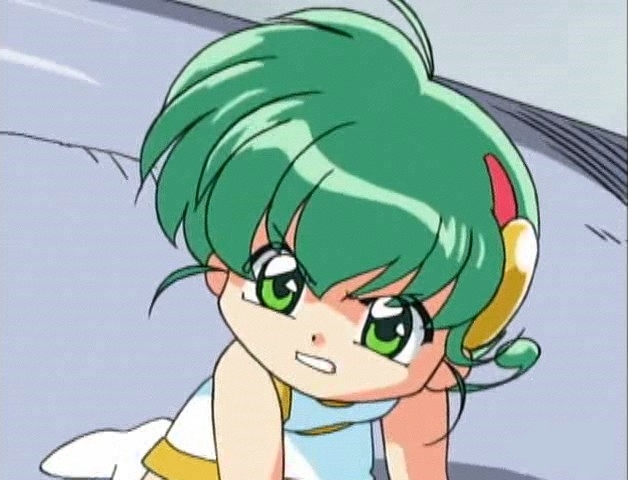 First with a rough ability to detect the presence of certain monsters, until during the final episodes she is able to telepathically link to humans as well. At this point, she has also gathered the confidence to forcefully control a monster. After this it seems the sense is entirely "open", as she is able to feel Oroboros before he even emerged from the seventh realm. Finally, together with Mondo she has the ability to merge with monsters and guide them through combat. Her sixth sense makes it so that she is more affected by they pain they experience, which Mondo helps her through. 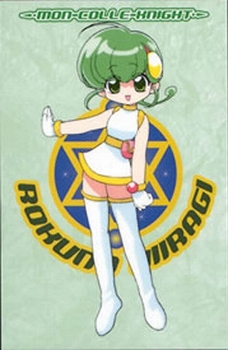 Rokuna was inspired by Lum from Those Obnoxious Aliens and mixed with traits of a girl who appears in one of the earlier Rokumon installments. 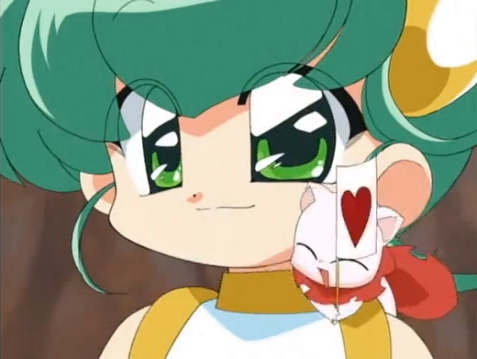 This girl attended the Summoning School alongside Mondo's source character, and this is where she got the trait of loving fairies (the fairy friend she had can briefly be seen in episode 30, flying towards the school). This version removes any indication of her loneliness, and she does get jealous on the other girls occasionally. She is more snappy and rude. She is also given a geeky streak, in that she wants to be a physics scientists and reads about particle acceleration. Mondo and her do not seem to be officially dating, rendering her behavior as rather unjustly possessive.